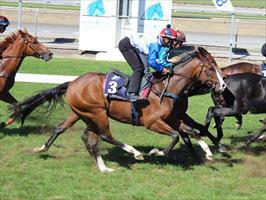 Normandy (pictured) runs at Ruakaka on a Dead 4 as he looks to clear his maiden on his second start. He jumps from barrier 10 in the Daltons Ltd (1400m) with Cameron Lammas aboard. Wide draw to contend with though it may not be too much of a hindrance for this galloper. Meets plenty of unknowns in this field but we’re confident in his ability and he has taken stacks of improvement from his fantastic first up run for second at Hastings. He comes into this event in great order, has plenty of heart and with Lammas aboard who knows him well, it would be no surprise if he went one better today.